Arnold viewed his leg days as mini-marathons. Power through the finish line today and enjoy the meal on the other side! 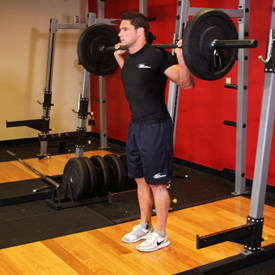 "For many years, I only did 5 sets of squats when I really should have been doing 8 sets. I did not include enough front squats and, I now realize, I did not put enough weight on the leg press machine. Once I realized my mistakes and corrected them, my thighs began to grow thick and massive. 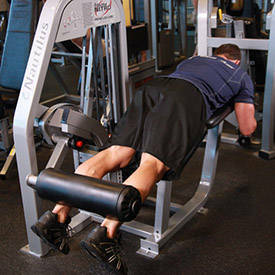 I accepted the fact that leg workouts simply have to be brutal to be effective. 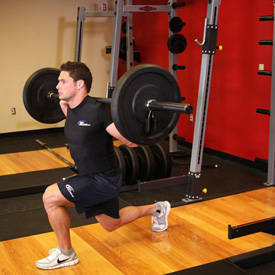 This involves a mental effort almost as much as a physical one." Six weeks into this trainer, you should know the type of brutality he's talking about. If not, you've got 8 sets of front squats on the lineup to remind you.